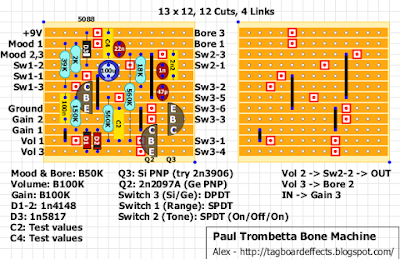 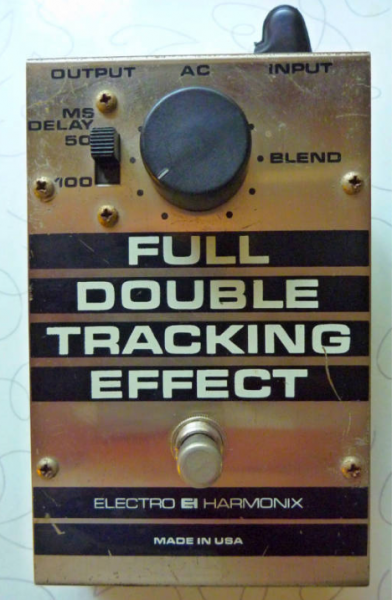 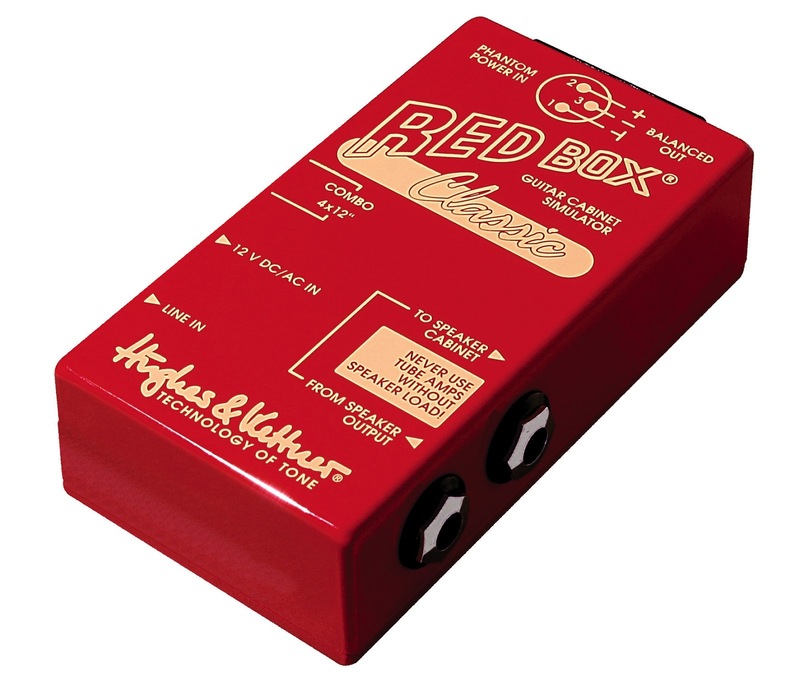 Here is a layout for a classic pedal. 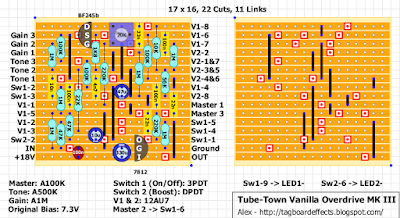 I've drawn 2 versions: Vintage and Modern. 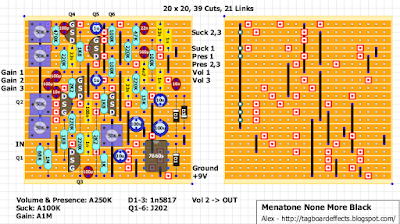 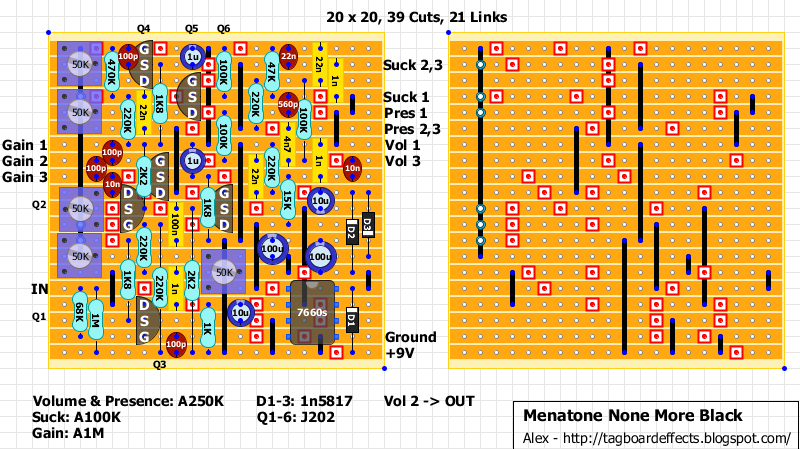 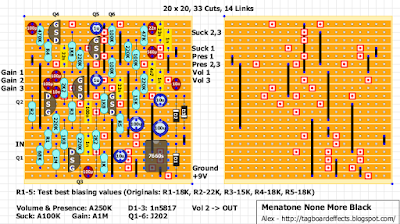 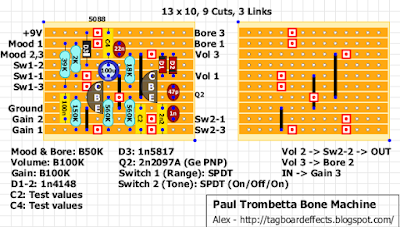 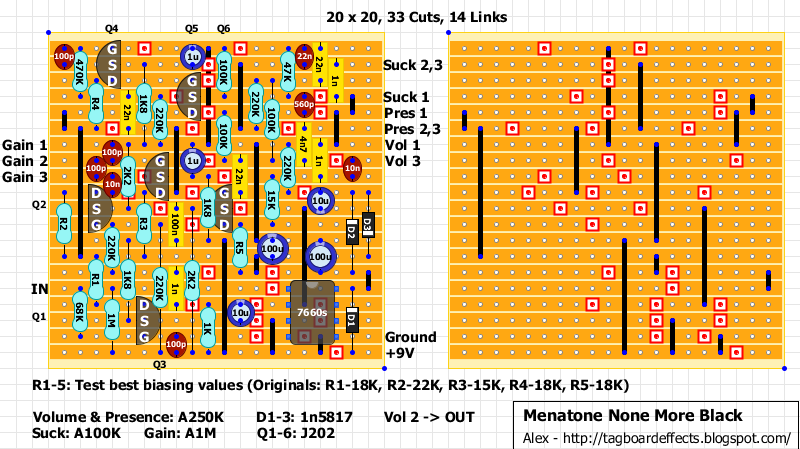 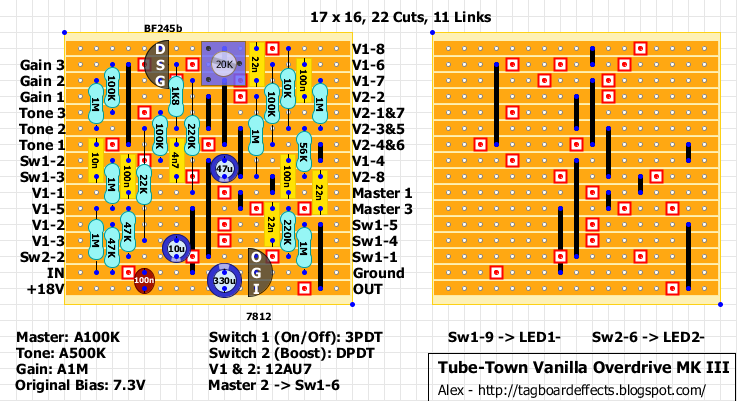 There are 2 layouts for the Vintage: with and without output boost. 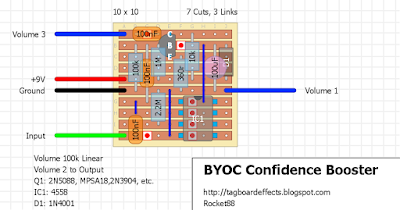 I've added a boost to the Modern layout to avoid volume loss. 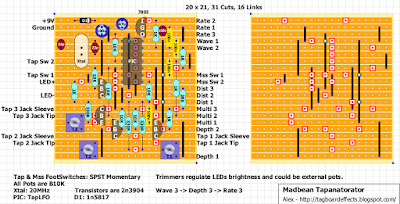 16/01/2017 Layout updated! 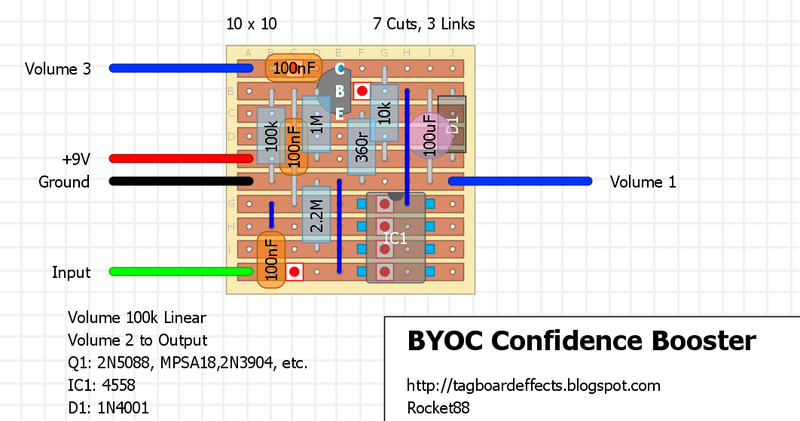 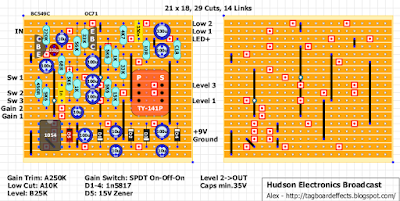 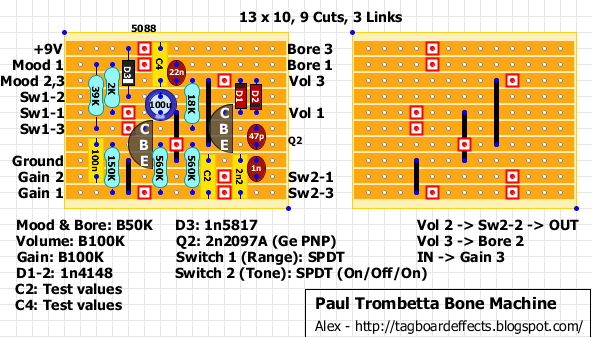 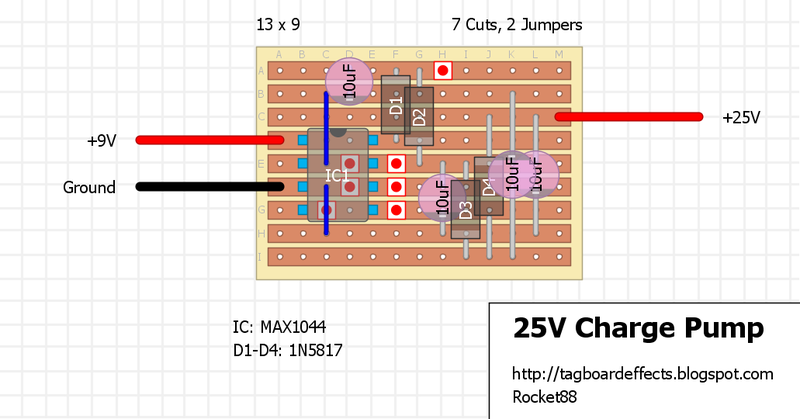 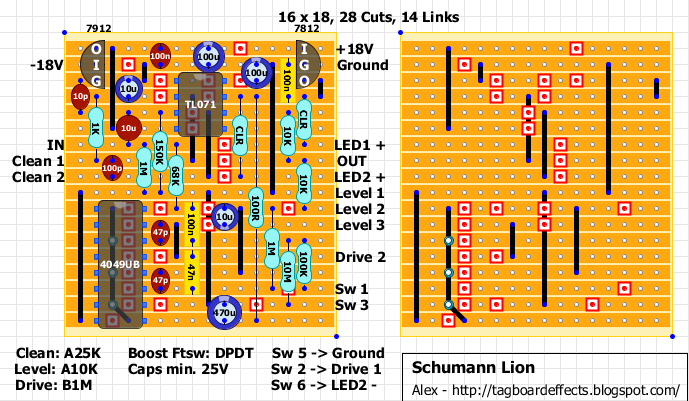 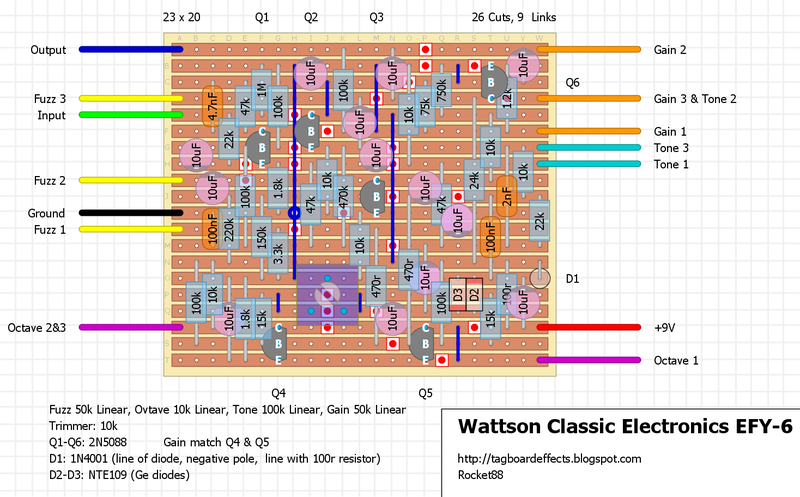 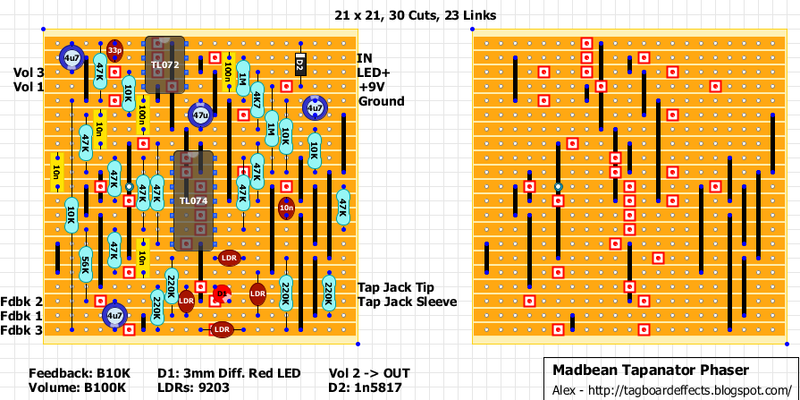 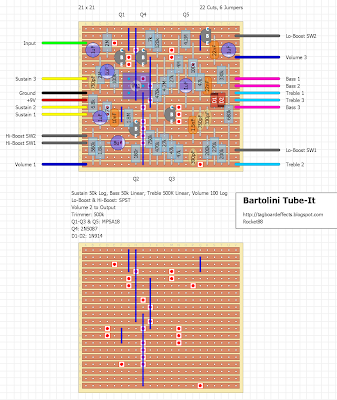 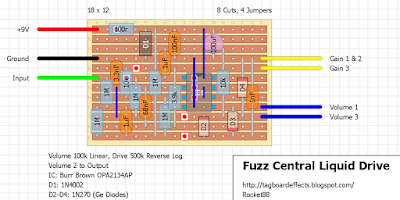 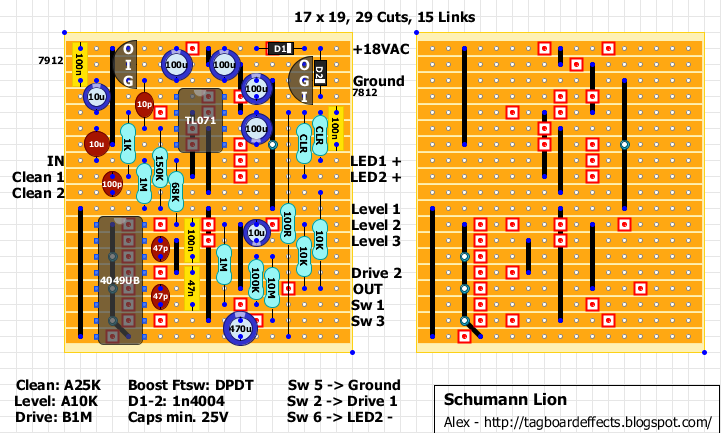 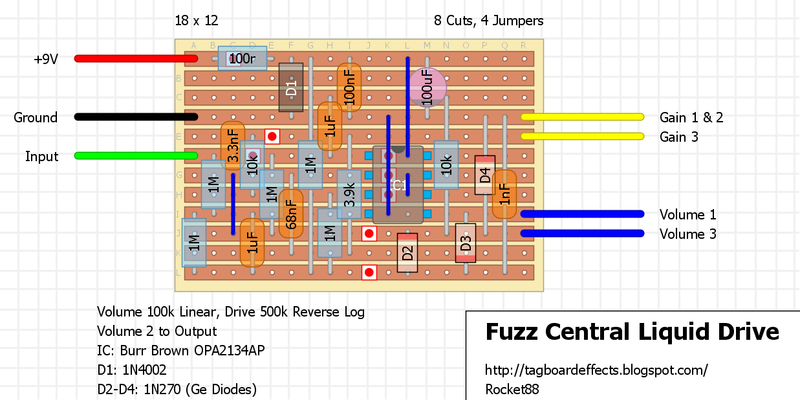 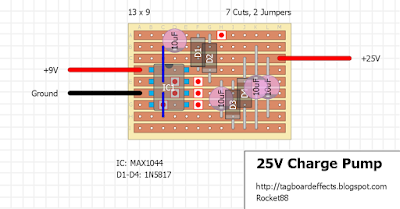 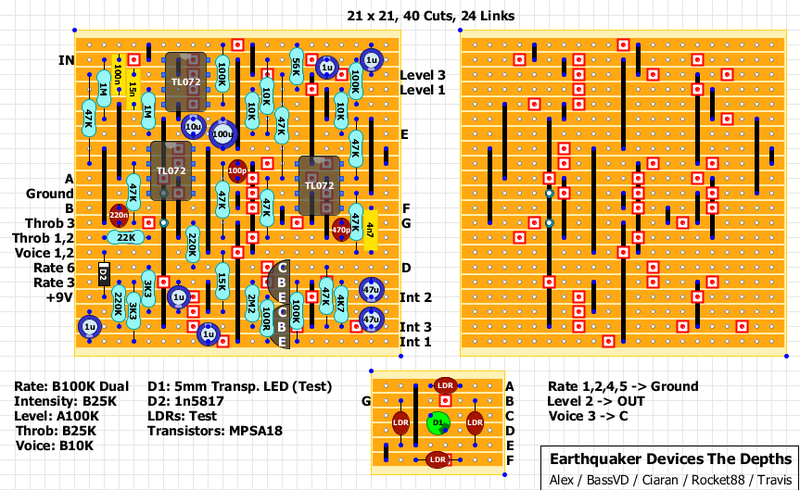 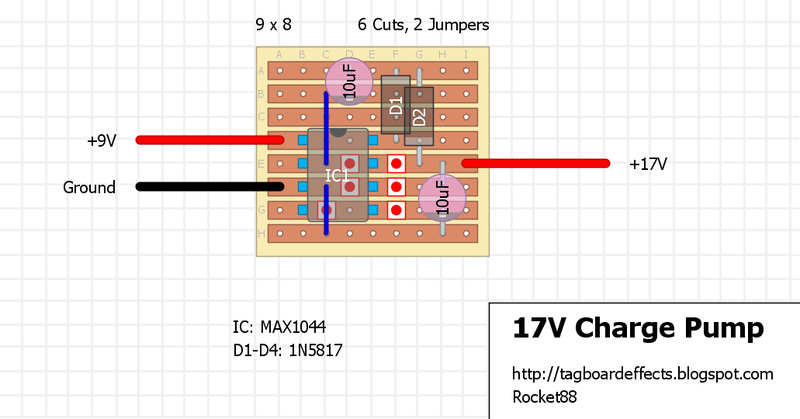 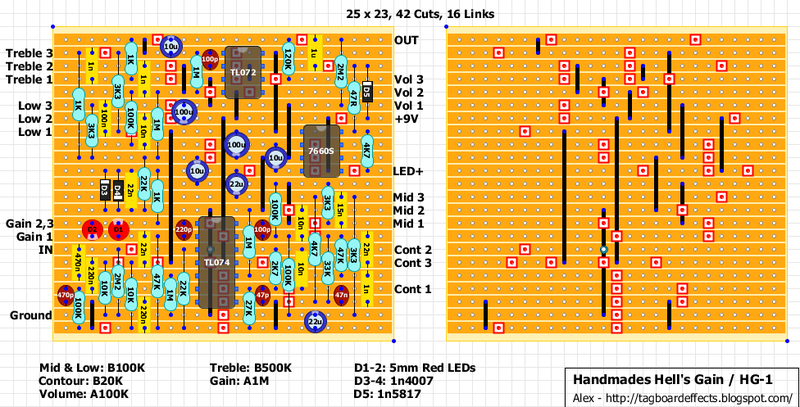 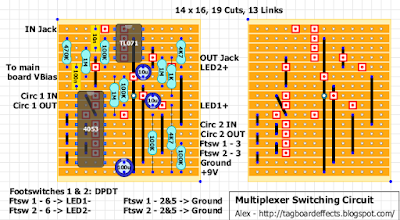 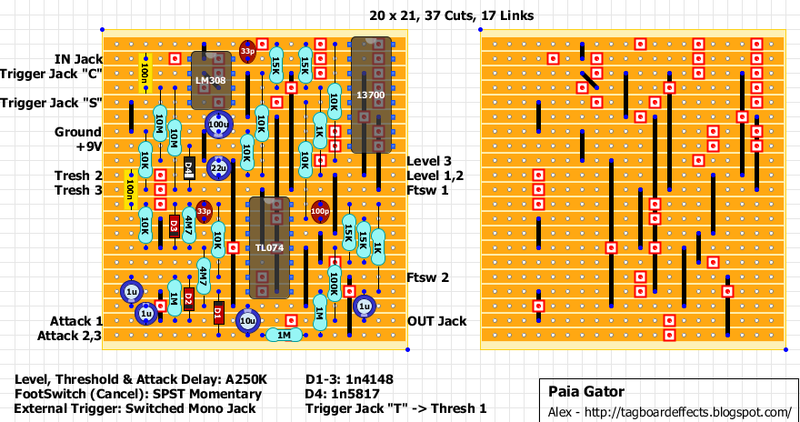 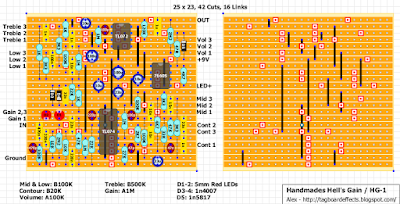 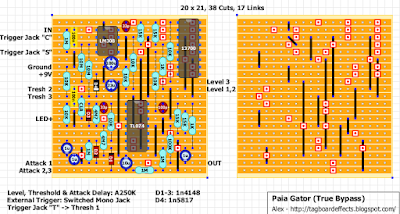 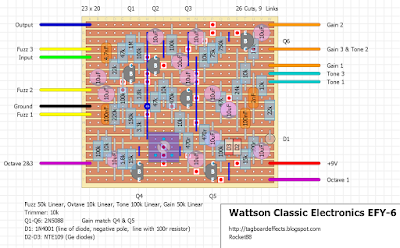 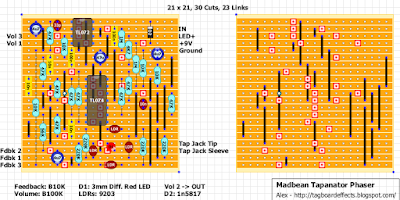 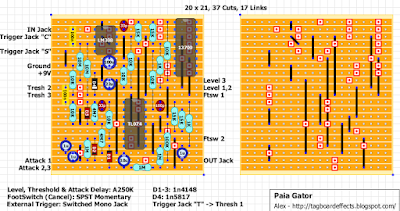 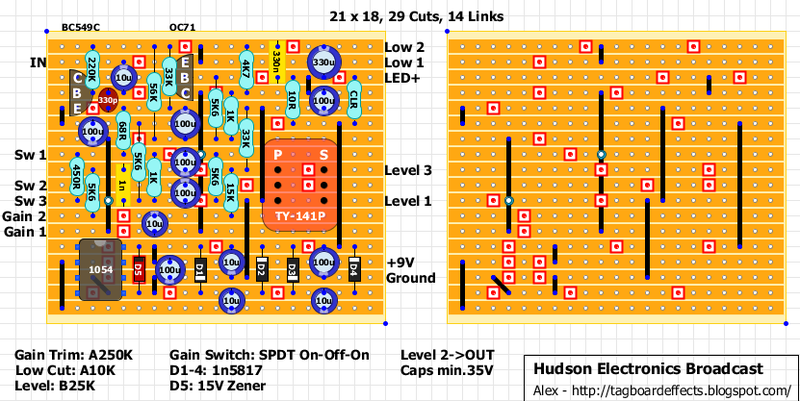 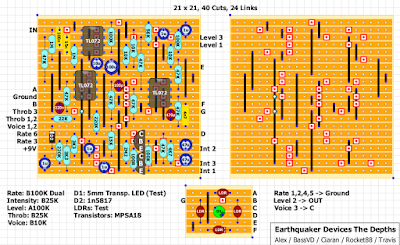 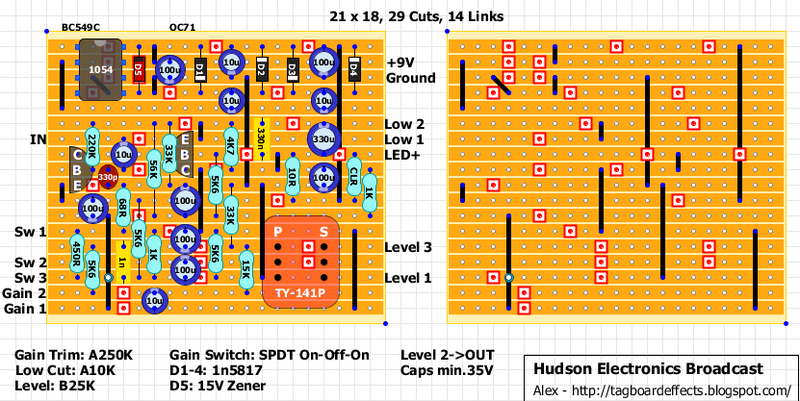 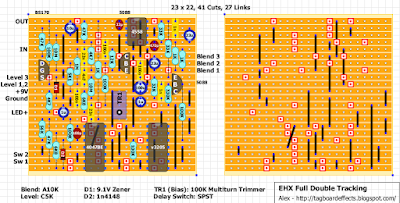 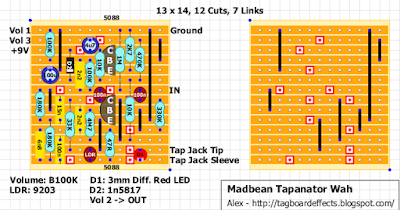 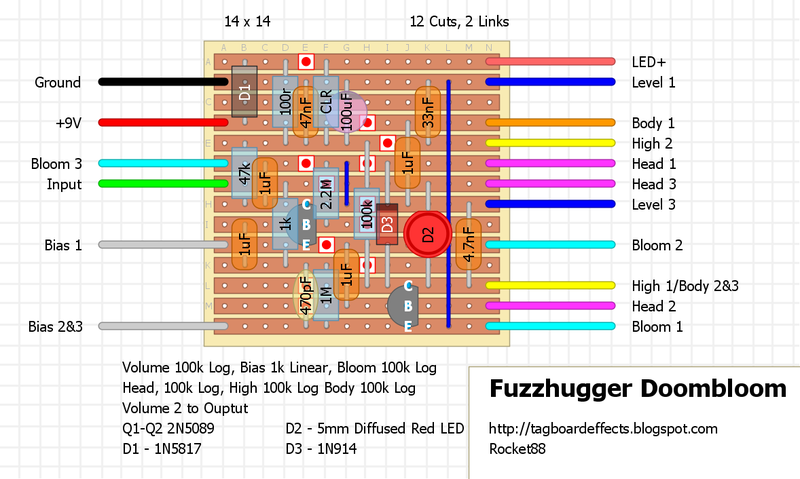 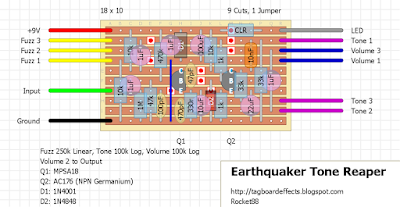 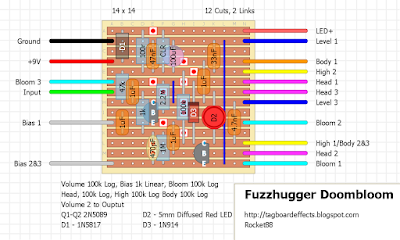 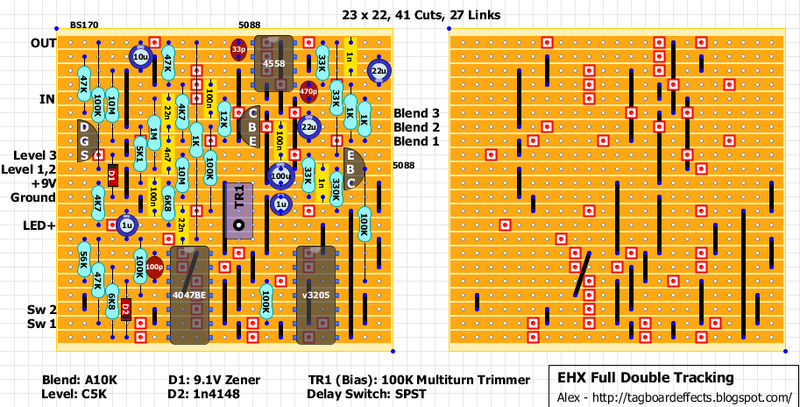 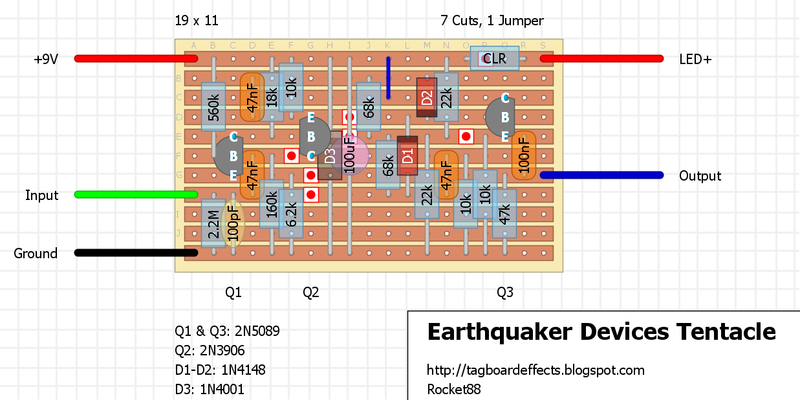 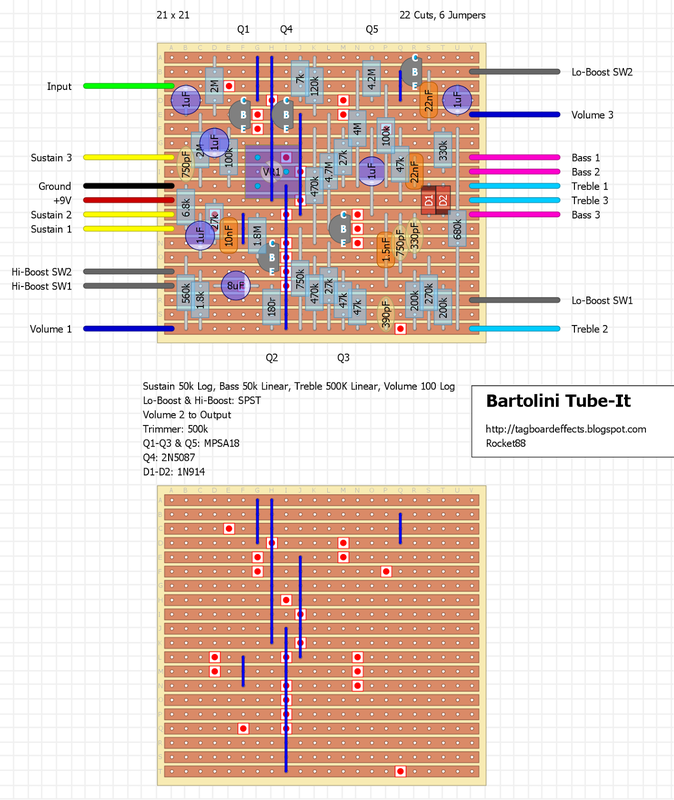 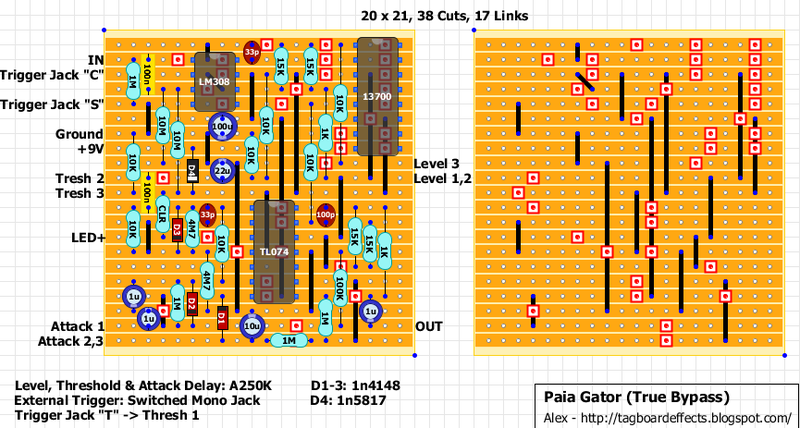 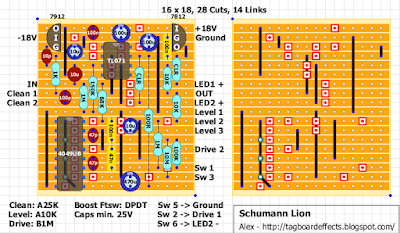 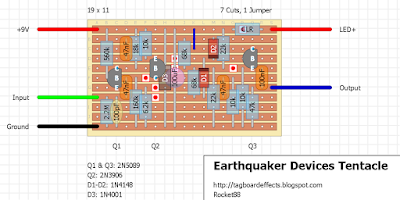 I've changed the vintage layouts because there were some errors in the schematic. 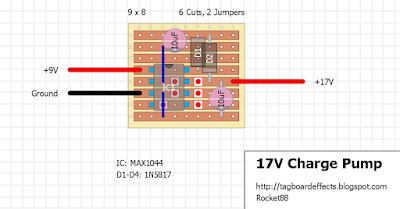 Thanks to Barcley for pointing out the corrections that I needed to make! 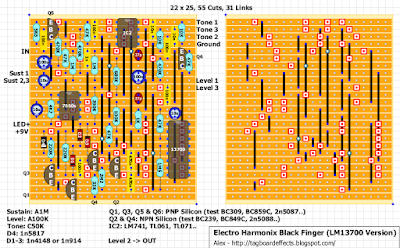 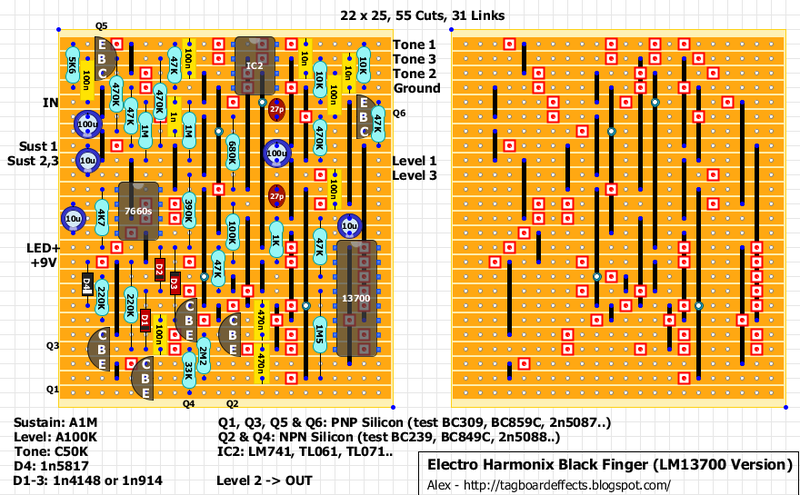 Here is a layout for the older version of EH Black Finger. 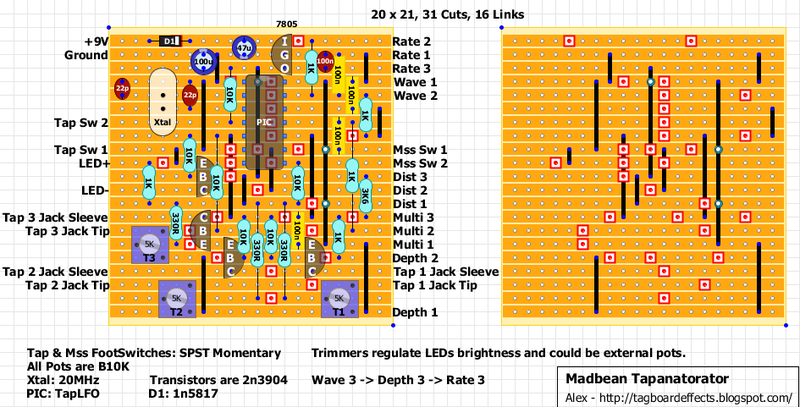 I've used Pedalgrinder slightly modified schematic on page 3. 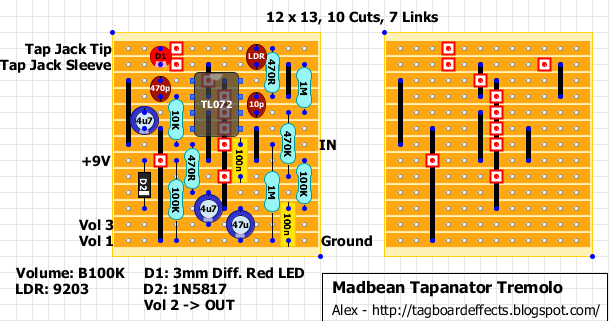 Some suggested high gain, some low gain transistors. 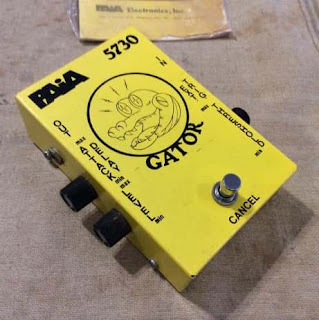 It's basically 2 modified well known circuits in series (TubeScreamer & Shredmaster). 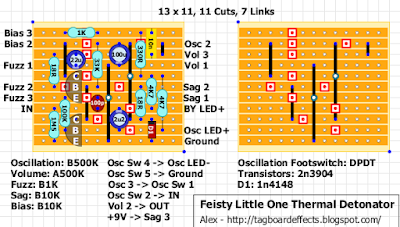 - a true bypass version were you wire two separate 3PDT footswitches in series. 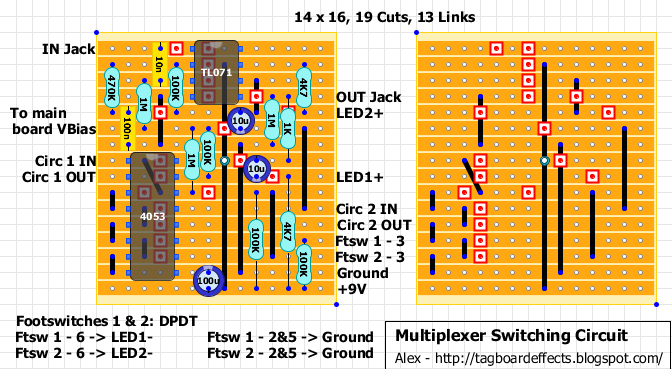 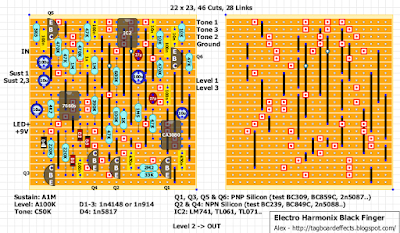 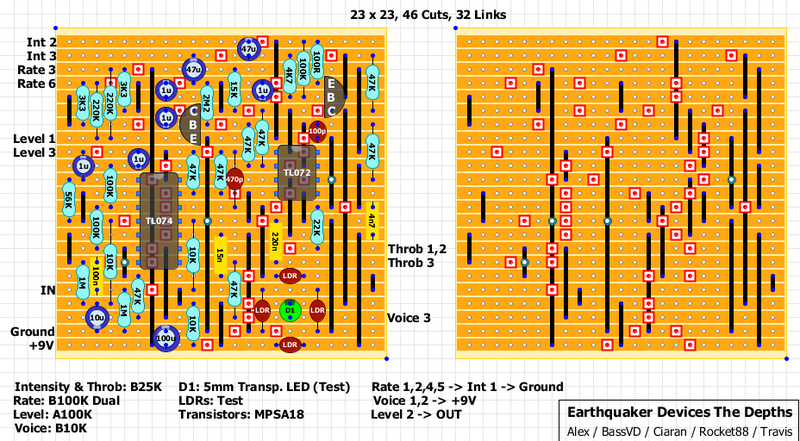 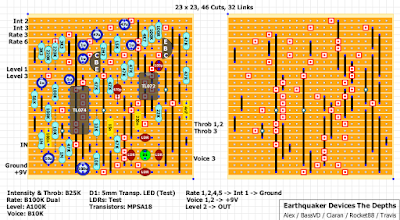 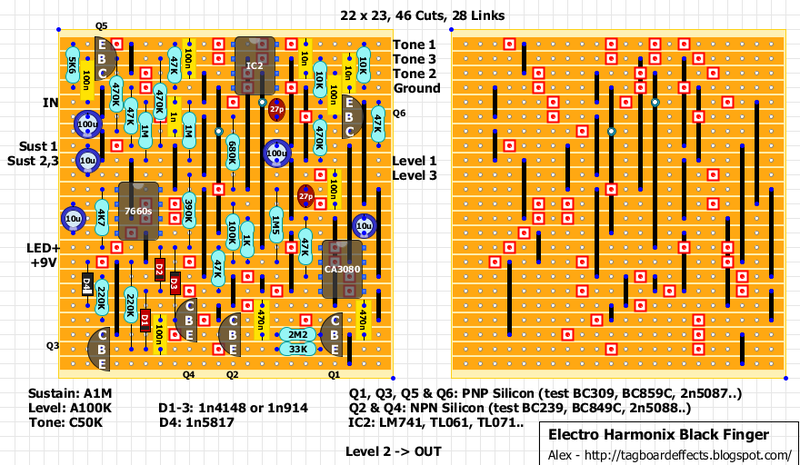 - the original Visual Sound version which uses a Multiplexer Switching daughterboard. The result should be a much smaller pedal compared to the original. 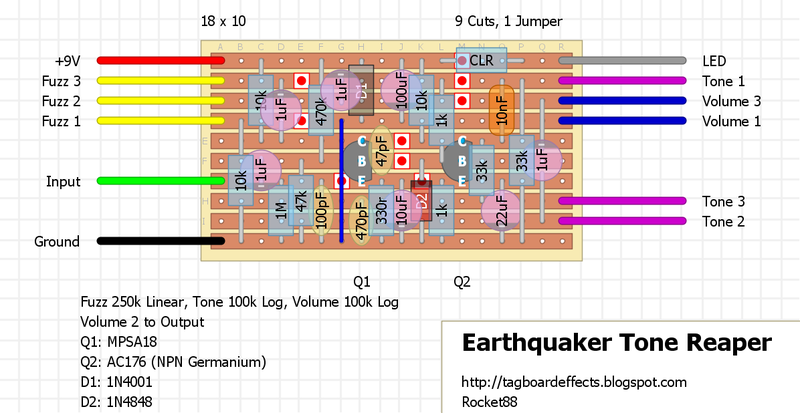 You can check Strassercaster verified version on the forum section. 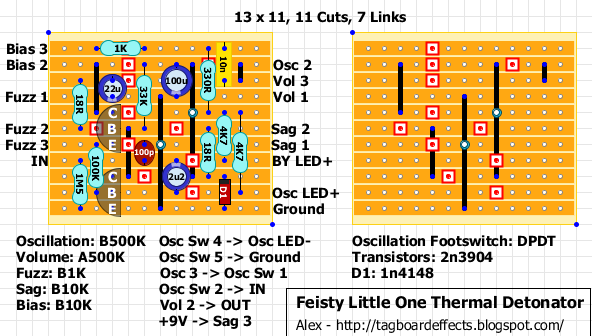 Schematic and original thread from FSB are available here.